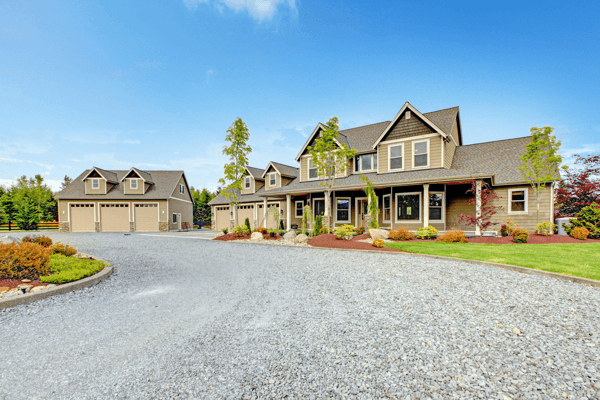 Present-day residential architectural styles are often short-lived trends and is mostly bound to what is popular within a specific region at a particular point in time. House design themes are often diverse interpretations of various earlier historic architectural styles, and due to the fact that many current residential architectural styles does not fit into a single category because of new regularly emerging eclectic mixes, fitting a home into one specific style group can be quite impossible. This list is not meant to be definitive and lacks full representation of various earlier historic architectural styles. Some categories are considered themes and not styles. 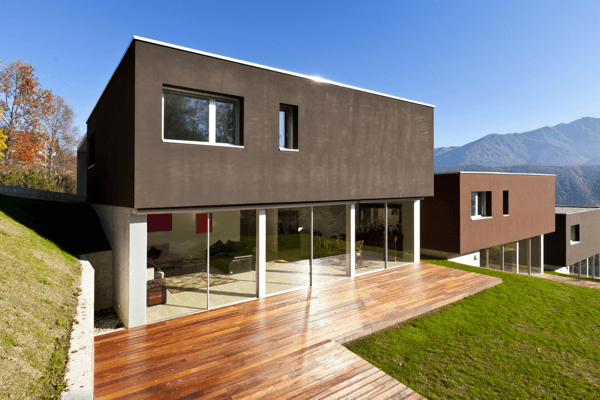 Contemporary house design is rooted in the moment and is an ever-changing term. It is used to define what is trendy and in style now. Usually a ‘less-is-more’ approach, with a strong emphasis on line and form, is taken and is often designed to incorporate the surrounding landscape into their overall minimalist look. Often large / tall panes of glass, has a lack of embellishments, and have unusual mixtures of wall materials–stone, brick, and wood, for instance. Contemporary houses are designed with abundant open space and natural light in mind, which makes them feel airy and expansive. Because there isn’t any clutter, every element counts. You’ll often hear the terms “contemporary” and “modern” tossed about interchangeably, but they’re not really the same style. Modern refers to a specific design movement that arose in the early 20th century and follows stricter guidelines; contemporary, by definition, is more fluid and tolerates a bit of ‘rule-breaking’. Contemporary designs are not defined by a single shape or style. Although in a way similar to the Contemporary style, Modern and Contemporary styles tend to get confused. Modern architecture is generally characterized by simplification of form and an absence of applied decoration, but the term ‘modern’ indicates an exact time period in architectural design history during the mid-20th century and strongly reflects the emergence of new technology and advances in engineering. Modern architecture refers to design inspired by the historical art movement of modernism. Modernism was a rejection of the ornate trimmings of other design styles and usually has a flat plane, minimalist look. It also plays heavily on clean & straight vertical and horizontal lines and has a utilitarian ‘form follows function’ aesthetic. World War II brought new materials, such as steel, chrome and plywood and are often used with primary materials / colours. These are the basic themes of modern design, although the actual application can vary greatly. Farm style homes are inspired by farmer’s houses built after World War II, and are designed to resemble rural Western farm houses or ranches. Changing lifestyles were reflected in these floor plans and this western inspired architecture typically has single storey wide open floor plans for with limited interior walls and vaulted ceilings. Farm style homes is also designed so that they are easily accessible with wraparound patios / porches and sliding-glass doors creating new ways to connect the interior to the outside spaces. Automobile ownership became a necessity due to the wide-spread community living and most farm / ranch homes also feature attached garages. Focussed on accessibility and practical living, farm or ranch style homes is usually a minimalist design style but exterior facades may vary significantly. At the end of the 18th century, many western societies felt that ancient Greece expressed the ideals of democracy and their architecture reflected classical ideals of order and symmetry. In its purest form it is a style principally derived from the formal proportions and classic beauty of the architecture of Classical Greece and Rome. 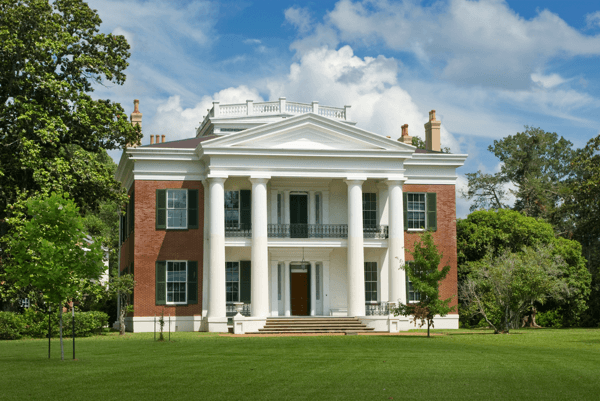 Greek revival houses can be identified the style by its entry, full-height, or full-building width porches, entryway columns sized in scale to the porch type, and a front door surrounded by narrow rectangular windows. Roofs are generally low pitch gabled or hipped. Large and imposing, homes built in this style convey a sense of wealth and authority. This formal style has a lot of decorative appeal and a romantic feel and is inspired by the manor homes, or chateaus, built by the nobles in the French countryside in the 1600s. In the original versions of this style, perfectly balanced and symmetrical windows and chimneys, steep hipped roofs, balconies and porch balustrades, rectangle doors set in arched openings and double French windows with shutters are the most common defining characteristics. Today’s housing developments are incorporating the French provincial style with symmetrical building & window proportions, steep roofs often including small balconies in mostly neutral colours. 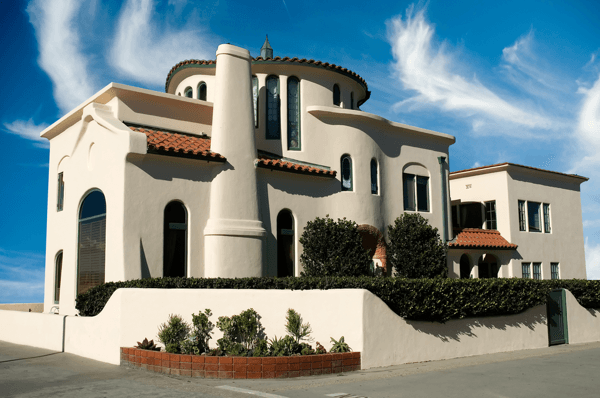 Mediterranean-style homes mimic those traditionally found in Mediterranean countries, particularly Spain, Portugal, Italy and North Africa. Because this house style often combines many different styles, some people use the term Spanish Eclectic. The word eclectic is used to describe architecture that mixes traditions. These early 20th century homes combine details from Spain, the Mediterranean, and South America. They capture the flavour of Spain without imitating any one historic tradition. These houses usually have low-pitched red clay ‘half-round’ tiled roofs, white ‘rough’ plastered walls, and rounded windows and doors. Other elements may include arches, especially above doors, porch entries and main windows elaborate wrought iron grilles, door hinges, handles and decorative tiles around doorways and windows are also common features. Also, a U-shaped layout with courtyards, patios and open arches that allow for breezes to flow freely through the house and verandas is often associated with this lifestyle. White plastered walls with various arches. Ornamental details such as heavy wooden doors and multi-coloured tiles. Tuscan themed design exemplifies the romance and aesthetic of the Italian region of Tuscany. From Pisa to Florence, the picturesque Tuscan landscape is filled with quaint villas and homes built with elegant, classic exterior lines in rustic, earth-tone colours on the sloping hills of the Italian countryside. Present day Tuscan-themed houses combines modern elements with classic Italian design, resulting in an attractive fusion of Old-world charm and simple elegance. 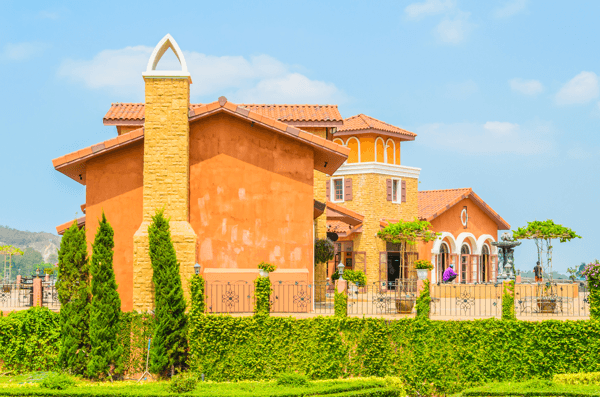 Tuscan designs are in some ways similar to Mediterranean style and typically feature plastered exteriors sometimes with stone accents on the corners, terracotta roof tiles and tall windows with shutters. 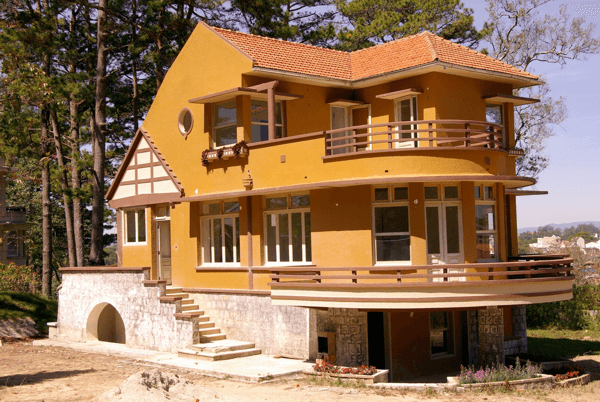 Plastered exterior in rich earth tones, including gold, tan, rust, salmon and peach. Wrought iron details such as balustrades, gates etc. The Colonial style in its broadest sense evolved from European and English influences, which started in the 1600s. Many colonists emigrated from Europe and brought those influences with them and also giving rise to Dutch Colonial, French Colonial, and other variations. Over time the Colonial style became distinct, recognizable for its use of geometry, often referring to a ‘boxy’ rectangular, symmetrical home with centred doorways and a balanced array of shuttered windows. The second story usually features the bedrooms and generally has the same footprint as the first. 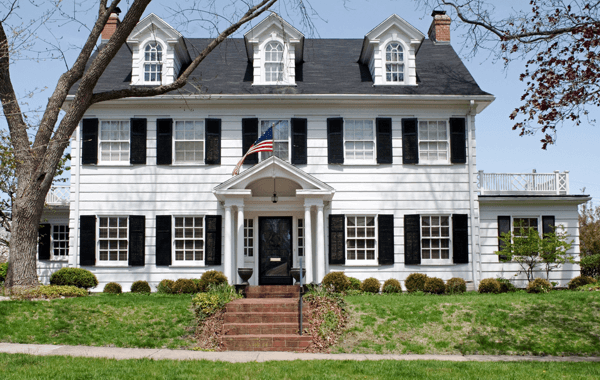 The exterior is usually brick or white clapboard siding and double-hung windows usually have many small, equally sized square panes and window shutters. Dormers, columns and chimneys are also evenly proportioned to complement the formal style. 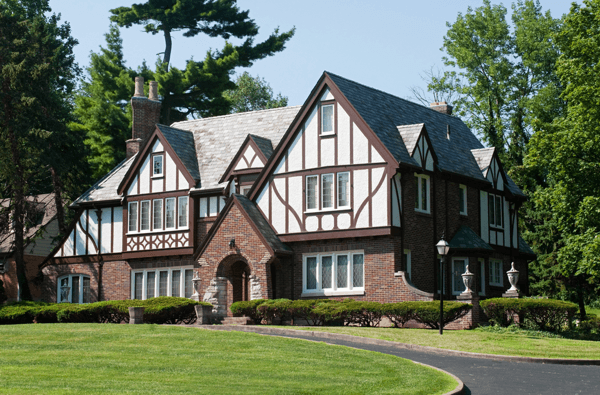 The Tudor style is a revival style of home that borrows from Great Britain between the 15th and 17th century which often seem indicative of childhood fairy-tale castles. 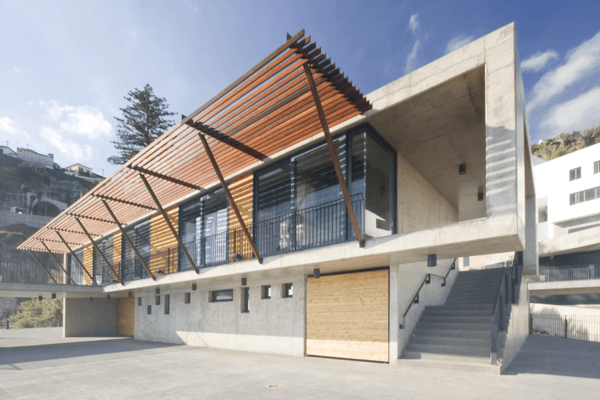 It typically has exposed heavy dark beams arranged in perpendicular, horizontal, and some at a forty five degree angle against the facade. The exterior walls are usually plastered between the beams. Some refer in style to humble cottages with thatched roofs, whilst other were built on a grander scale as vast mansions. The lower story is usually of brick or stone. Boxed bay windows diamond shaped panes and large chimneys are common features. Often associated with medieval churches and cathedrals of the 12th century, the Gothic revival style’s attractive and romantic architecture, reflects people’s taste for buildings inspired by old-fashioned design. Gothic is an architectural movement that began in the late 1740s in England. Its popularity grew rapidly in the early 19th century, in contrast to the neoclassical styles prevalent at the time. Gothic Revival is a variation of the Victorian architectural language characterized by a vertical emphasis, church-like appearance. 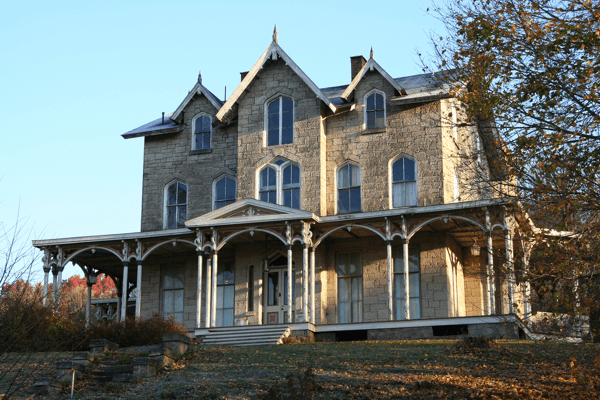 Gothic Revival architecture often has certain features, derived from the original Gothic architecture style, including: steeply pitched cross-gable roofs, decorative patterns, Gothic arches and pointed windows. Floor plans are usually asymmetrical and irregular. This type of architecture stems from the Victorian period. Victorian refers to the reign of Queen Victoria (1837–1901), called the Victorian era. Mass-production and mass-transit made ornamental parts affordable and architects and builders of the time applied decoration liberally. As a result, late Victorian homes became increasingly ornate and you’ll find lots of brackets, spindles, scrollwork and other machine-made building parts. Even though a common mental image of a ‘Victorian’ home is commonly associated to a dollhouse with elaborate trim and bright colours, this style is actually combination of several different well-known styles including Gothic, French and even Egyptian! 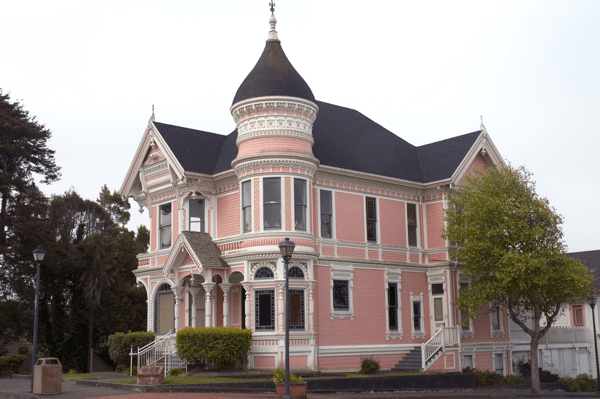 The ‘Queen Anne’ Victorian style of the 1880s came into fashion at the height of the mass-production of architectural trim. These elaborate, brightly coloured homes with excessive ornamentation and lacy wood / metal trimmings are usually the image when people think of a typical Victorian home. The Art Deco style resonated origins of the Machine Age with geometric decorative elements and a vertically oriented design language. The eclectic style is often characterized by rich colours, bold geometric shapes, and lavish ornamentation often including the zigzag patterns found in Aztec and Mayan art. Art Deco first appeared in France in the 1920s, flourishing internationally in the 1930s and 1940s where after its popularity waned after World War II. Although this style was never commonly used in residential buildings, it was very distinct in the urban landscape of public and commercial buildings of the period and represented luxury, glamour, exuberance, and reliance in technological progress.